First Prime Minister of India was ‘Jawaharlal Nehru’, he was born in 14th November 1889, For Indian politics, he was the central figure in the 20th century. 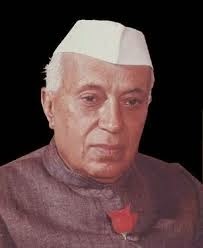 Jawaharlal Nehru was the leader of Indian Independence Movement and he ruled India from Independent nation in 1947 until his death in office 1964, he was considered to be the architect of the modern Indian Nation state. Jawaharlal Nehru completed his graduate from Trinity College, Inner Temple and the Cambridge, where he trained to be a Barrister. After returning to India , he enrolled at the Allahabad High Court and took an interest in National Politics. In 1920s he became the prominent leader of the left wing factions of the Indian National Congress and after that for the entire congress with the approval of his mentor i.e. Gandhi. Prime Minister of India was summoned by the president of India in the parliament house. Indian politics was dominated by the Nehru and Congress during 1930s as the country moved towards Independence. Jawaharlal Nehru’s idea for secular nation state was validated when the congress, Under his leadership and formed the government in several provinces . Muhammad Ali Jinnah , who was the Muslim leader had come to dominate Musluim Politics in India. Discussion between the Nehru and Jinnah for power sharing was failed and gave a way to the Independence and bloody partition of India in 1947. Prime Minister of India was elected by the congress. In India, Jawaharlal Nehru’s Birthday was celebrated as Children’s Day. Motilal Nehru was the father of Jawaharlal Nehru , a wealth barrister who belongs to the kashmiri Pandit Community, who became twice as President Of The Indian National Congress during the Independence struggle . Motilal Nehru’s second wife was Swaruprani Thussu, she came from Kashmiri Brahmin family settled in Lahore. Jawaharlal Nehru was the eldest among the three children, two of them are girls, elder sister was Vijaya Lakshmi who became the first female president of the United Nations General Assembly and younger sister was Krishna Hutheesing who became a noted writer and authored several books for her brother.